While I have not yet received my copy of the Nikon D4, I had an opportunity to test it today and perform some comparisons against the original Nikon D3 and D3s cameras, thanks to my new friend Michael Sasser, who was kind enough to let me use his D4. The purpose of this Nikon D4 vs D3s vs D3 ISO comparison is to show how the new professional D4 compares to the older-generation Nikon cameras in low and high ISO performance. I will start working on a full Nikon D4 Review once I receive it and hopefully will finish it up with plenty of image samples and my analysis sometime in early April (planning a couple of big projects for the Nikon and Canon DSLR cameras). Nothing too exciting about the low ISO performance of these cameras – each performs extremely well at low ISO levels, even at ISO 800. Let’s take a look at high ISO performance – that’s where we should see some differences. Differences start getting slightly apparent at ISO 1600 – the Nikon D3 has a tad more noise than the Nikon D3s and the Nikon D4, both of which look about the same. This difference is even more visible at ISO 3200 – the Nikon D4 and the D3s look cleaner than the Nikon D3. I cannot see any difference between the Nikon D4 and D3s though. At ISO 6400, the Nikon D4 seems to be just a tad cleaner than the Nikon D3s, but the difference is too little – I would say less than 1/3 of a stop. The Nikon D3 is pretty noisy at ISO 6400 in comparison, as can be clearly seen from the crops. Pushing ISO to 12800 again shows a slightly better performance by the Nikon D4 compared to the Nikon D3s, I would say around 1/3 of a stop. The Nikon D3 crop looks much noisier in comparison, about 1.5 stops worse than the D4. I personally rarely use extreme ISO levels above ISO 6400 on my D3s, but let’s see how all three cameras compare at very high ISOs. Shooting at such ISO levels obviously results in sharpness/detail and color loss, so the images are only usable when down-sampled to smaller resolution, in my opinion. I cannot really see any difference in noise between the Nikon D4 and the D3s – both look more or less the same, with a little bit larger grains on the D3s – most likely due to down-sampling performed on the D4 image. The Nikon D3 is limited to ISO 25,600, but it looks really bad in comparison. In fact, if you take this Nikon D3 sample at ISO 25,600 and compare it to ISO 102,400 on the D4, both crops will look more or less the same (2 full stops of difference). Again, very similar performance by both the D4 and the D3s, with slightly bigger grains on the D3s. Interestingly, this is where the Nikon D4 clearly shows better performance – more details are preserved across the frame. Again, down-sampling certainly plays a role here. Looking at the above crop samples, we can see that the Nikon D4 performs very similarly to the older Nikon D3s – the performance differences seem to be rather small. At the same time, we should not forget that the Nikon D4 has a higher resolution sensor with a 4 megapixel advantage. This means that Nikon was able to push the camera’s resolution higher, while retaining the impressive high ISO performance of the Nikon D3s. As for the Nikon D3, it performs well all the way to ISO 1600, but starts to suffer from there in comparison to the D3s and the D4 (especially at ISO levels above 6400, where there seems to be 1.5 to 2 stops of difference). To be honest, I was hoping for a little more difference in high ISO performance between the Nikon D4 and the D3s. When the Nikon D3s was introduced, it showed significantly better performance than the D3, as I demonstrated in my Nikon D3s Review. Sadly, the Nikon D4 does not seem to be that much better, even after its 16 MP image is down-sampled to 12 MP. While a higher resolution sensor presents better cropping opportunities, which is important for sports and wildlife photographers, it still caps the usable high ISO performance at the same level as the Nikon D3s. I think Nikon fully understood this, which is why they packed other nice features into the Nikon D4 such as better AF system with usable AF at f/8, built-in Ethernet port, higher dynamic range, advanced movie features, better shutter, huge memory buffer and better ergonomics. I will talk about these feature differences in much more detail in my upcoming Nikon D4 Review, but for now you can also check out my previous Nikon D4 vs D3s article. Nasim, I am really so glad I somehow discovered your newsletter! I am just a keen amatuer over in Australia who currently uses (and loves) his Nikon D300, but am interested in taking the next step up to a truly professional camera. Your comparison of the D4 against the D3S makes interesting reading. It would seem to me that there will be some good buys around in either new or used D3S’s pretty soon and since I am not interested in enhanced video production, a D3S might be a good bet. I am afraid we sometimes get suckered into the next “big thing” based on marketing hype rather than a common sense analysis of what our needs really are and what the real differences in the next big thing versus the old big thing really are! Almost four years ago, I bought my wife the (then) new and upgraded model of the Mercedes Benz SLK 350 sports car. (Rush of blood to the head!) Merc have just produced a new iteration of this car, with a substantially different look. The Merc dealer insists I should buy the new one because the new one is always better than the old one. Quite frankly, it is all marketing hype, and the old car is just as good as the new car — in fact it looks better! Thank you so much for your frank assessments. To an amatuer like me, they are invaluable! Mike, thank you for your feedback – your example of the SLK 350 is a great example of clever marketing. In fact, I always use the car analogy when talking about gear! Thank you very much for your invaluable efforts Nasim..
Clearly the video and the new amenities took everyone by storm, and left one of, if not THE top priorities of the D3s on the back shelf … that is/was the rock solid stellar still shot performance that thousands of pros used and had no complaint about. John, I agree – I also hoped for better high ISO performance, to be honest…I was expecting around 1 stop of difference. Now there is definitely a difference in dynamic range (about a stop) and other features (excellent and fast AF), but the ISO cannot be pushed beyond what the D3s can do today. How worse is the full-resolution image of D4 respect D3s at high ISO? After resizing you’ve decreased the noise of D4 images, the comparison has to include the untouched images too for a better understanding. Andrea, that’s coming up in my full review of the D4. I will actually do a much more complex comparison then at different focal lengths, so that I have the same 100% view. I will then show both pixel-level performance and down-sampled performance. you might be interested in this little comparision, indicating a bigger difference between the D4, D3, D3s and D3x. I assume, the SPD (spectral power distribution) of your light for the test was too good to show the difference in a more distinct way. Given the even lighting, the dynamic range of the scene is probable too limited. The D4 excels against the D3s in more reserves to bring shadows up in post processing. Usually low light scenarios in the street or outdoors have quite high dynamic range requirements. Lastly, look into the pattern of noise due to the different A/D architecture. The pattern of the D4 has fine granularity and is easier to remove in pp. The D4 also lacks the yellow blotches the D3s and D3 had with higher ISO. The improvements of the D4 aren’t as significant as the D3 over the previous generation, but in broader consideration the D4 tops the D3 generation quite regularily. Andy, thank you for your feedback! The above test was to simply show the difference in high ISO performance. A dynamic range test has to be carried out in a different environment, preferably outdoors. I will do a much more in-depth dynamic range comparison later, with some shadow recovery from D4, D3s and D3. So far, what what I can tell, the D4 definitely has more dynamic range – somewhere between 2/3 to a full stop. This is obviously only one side of camera’s performance. I did some preliminary tests on the AF performance of the D4 and I found it to be faster and more reliable than the D3s – that alone may be worth the upgrade for sports/wildlife photographers out there. What’s important to note for all Nikonians is that the D4 was never going to be a new “revolution” in performance but rather an “evolutionary” step, if only a marginal one (which still remains to be seen). I think many current D3s owners might have hoped deep down inside that the D4 might be a new revolution but I was never under this impression despite all of the marketing Nikon put forth with this new body. Is the purpose for using a D3x in these comparisons simply so that those who currently own a D3x can see what the difference is in ISO performance? If so, I’m hoping the reason that they own a D3x in the first place is because they are doing studio and landscape photography rather than trying to use that camera in a low-light sports photography setting. I’ve see other reviews elsewhere comparing the new Nikon D800 to the new Canon 5D Mark 3. I think comparing these two cameras a ridiculous comparison. They are completely different cameras targeting a completely different set of professional photogs. Great comparison! I also expected a better performance from the D4, at least 1 stop. But what i wonder, how is the dynamic range at higher iso’s, or even at iso100 compared to the D3s? Can we get more info in post production? Mike, yes, for ISO levels below ISO 3200, the D3 and the D700 are still superb cameras! 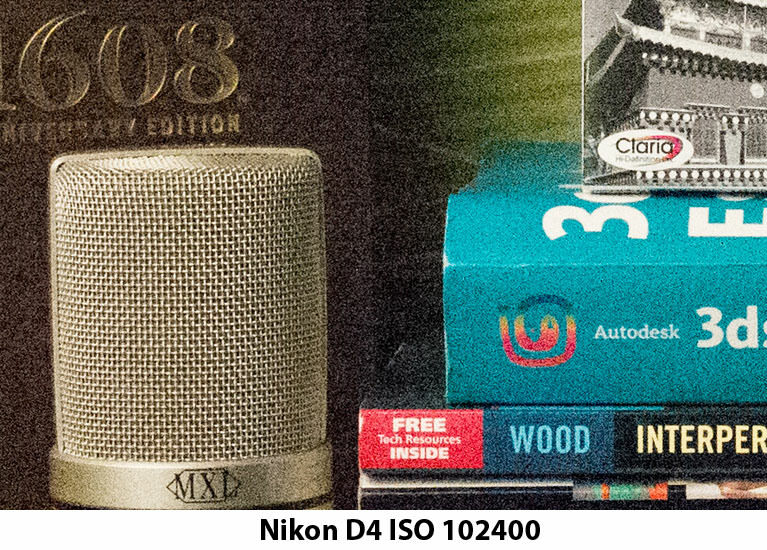 The difference in high ISO performance between the Nikon D4 and the D3s is really modest. Thank you for your work. So I think I will wait for other tests (D800, D5 Mark III) and take in this time pictures with the D700 and the M9. Ours, a more detailed comparison with the D800/D700 and 5D Mark III is coming up soon! Well D4 and D3s are out of my range (their price tag) but nice to see they go together “head to head” in low-light. Thank you for your feedback and the link Michael! Interesting! I had no idea noise performance improved so dramatically between the D3 and the D3s. This also explains the rather average noise performance of my D700, which appears to be based on the D3’s imaging sensor. Good up to 1600 and declining rapidly thereafter. Frankly, I expected more. To your point about the D4 and D3s: For me, near-equal noise performance and a 33% increase in pixel density would be enough of an improvement to warrant an upgrade. However, I ordered a D800 within days of its introduction because my shooting style benefits more from significantly increased resolution than absolute noise performance. Whereas I think my D700 is clearer at ISO2000 then at ISO1600! Great performance comparison btw. 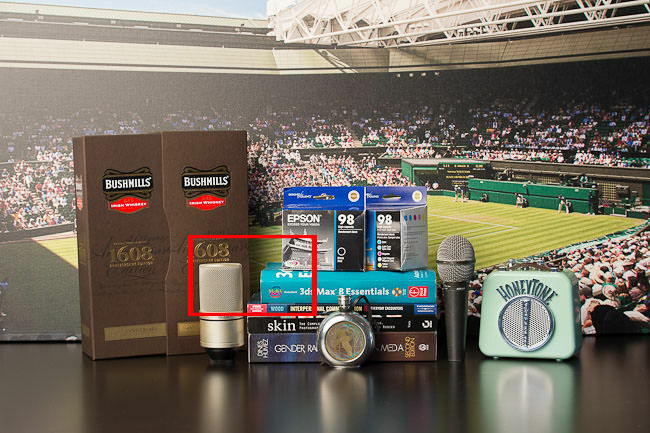 When I take a look at the images I have the feeling that those from the D4 seem a bit sharper (I just take a look at the microphone on the left with the grid)!? Thanks Nasim and Rudi for your thoughtful replies. I haven’t done much shooting at an ISO of 2000 with my D700, but am intrigued by Rudi’s claim and will test his assertion during my next “blue hour” shoot. I’m not surprised the D4’s images are slightly sharper. Even down-sampled, I would expect the 16.2 Mp sensor to render sharper images. To Nasif’s point about better AF and dynamic range, I suspect there are a number of good reasons for pros, especially photojournalists and sports shooters, to upgrade to a D4. From my perspective, I’m longing for the era when images are once again primarily constrained by the quality of the glass—i.e. back to “analog” if you will. This is my hope with my acquisition of the D800—whenever it arrives, that is. I saw an “ISO shootout” on DP Review a week or so ago and this is why I decided to keep my D3s and am waiting for the D4s to come out….although I’d really like the ability to use ISO 100 natively. In fact, in their sample, the D3s looked even better than the D4 at higher ISOs. The 4 extra MP are nice, but not worth dumping my D3s for. I could care less about video since I’m a photographer; the video improvements are nice and all, but of no value to me whatsoever. I’ll get an D800E for studio/portrait/landscape in the fall and then wait patiently. Again. :). I don’t think that Nikon will use D4’s sensor in any other camera soon, however, I think that 1 to 2 years from now, they may come up with D700s having D3s’s sensor. If they release D4s along with D700s in 2013 or 14 then the latter will not eat into sales of their flagship. Very interesting analysis. It makes one wonder if the DSLR World is starting to hit a technological ceiling. The differences you show are, to my thinking, miniscule and somewhat irrelevant for the vast majority of photographers who just want a camera instead of lots of add-ons like movie capability, etc. On the other hand, Nikon et al are not dumb. They have plenty of consumer research info and see people running out and buying the latest electronics for reasons unknown (See Apple ipads, ipods as the most visible examples). One exception: Mike Butler from Australia (#1 comment above) has figured it out. Thank God for Australians! Peter, true, we may be at the junction where we are hitting the ceiling in terms of high ISO performance. Now here is an interesting thought – if Nikon developed a sensor with only 6 MP, but 2-3 full stops better high ISO performance, would there be demand for such a camera? :) Then they could do continuous 30 FPS speeds quite easily! Thank you for the kind words about Aussies, Peter! Unfortunately, plenty of folks in Oz fall for the marketing hype, just as do our friends in the States. My (sometimes) cynicism is born of age, not intellect! There is however, good common sense in buying quality products like the top-end Nikons, or the Mercedes for that matter, provided the budget can handle it. Unlike cheap imitations, they do not have built-in obsolescence. My late grandmother used say, “The bitterness of poor quality lasts long after the sweetness of cut price”. I just don’t like replacing a perfectly good instrument just because I am told the new version is shinier than the old one! Luke, thank you for your feedback! Nasim, I might be picking up the D800 for Portraits and Weddings!!!!!! I am still waiting to see how much improvement of the AF on D4 vs the D3 and D3s… D3s is one of the Best in AF aspect for sure…. hi Nasim, my D3s I requested did not work out, the front dial was wayyyyyy stiff and tight, I ended up returning to the seller… a lot thinking put into this, I am getting the D4 now hehe… Can’t hardly WAIT!!!! Interesting to see will be a comparison between two flagships – Nikon D4 vs Canon 1DX. Thanks for your post! I am wondering if you would be doing some analysis of D800 in a couple of days when it gets released. I am undecided between D700 and D800 so your similar analysis will be valuable. Thank you very much for this analysis. Your postings are always impressively authoritative. I will keep to my recently purchased, second hand, pristine D3s. As each assessment of the D4 appears, retaining a D3s, rather than “upgrading”, seems to be the sensible option. As well as the considerable cost of a new D4 body, the extra expenses of making the shift seem to increase with each passing day. The most recent, unanticipated, cost which I would have had to face – according to one user – is purchasing Lightroom 4, because Lightroom 3 will not import from a D4. Tellingly, few D3s bodies are appearing on e-bay, and Digital Rev is currently advertising the D4 “in stock”. It would be impertinent of me to suggest that Nikon have got it wrong with the D4. But I can see D4 prices falling much more quickly than some commentators have suggested. Martin, I think those who decided to upgrade to the D4 will still be happy with its performance, because there is more to it than the ISO test shown above (better AF, dynamic range, etc). For those of us that are happy with the D3s, why upgrade? I always recommend to skip a generation, unless it is a revolutionary product like the Nikon D800. I am kidding of course. For a professional like you, it will always make good sense to spend money on things useful for your business. I’m totally happy with same noise performance and all the other pick-ups. In fact, I’m glad that their bogey was same ISO performance and upgrade everything else as much as possible keeping that as the baseline. Specifically this ended up being 16 MP, plus all the other improvements. The F/8 Sensors are HUGE. In my experience the 12,800 file from the D3s looks like the 1600 file from my D7000. I shoot at 5,000 – 8,000 all the time when shooting indoor or nighttime sports. I find the D3s files totally acceptable up to 12,800, whereas the D7000 files don’t look publishable with anything over about 2000. I will most likely purchase a D4. I might wait until a D400 comes out to see if I can get to D3/D700 like noise as 14-16 mp. If so, I might consider that instead. I really like the reach. Nice review. Answered some questions I had. And doggone, my D3 still doesn’t look all that bad. Sort of proves to me what I have felt, that the real groundbreaker was the D3 and the D3s and D4 are improvements on it, not breaking new ground. Fortunately for me, your tests showed me just how good my D3 is. I don’t ever need to go above ISO 6400 anyway, and most of my 6400 shots are less noisy than your test shots. The reason it is fortunate is that I just can’t any longer afford to move up, as tempting as it might be, at least to the D3s. The D3s simply is too good? I hope to get a replacement camera for this season HS football. My D90 works though it would be nice to be able to boost the ISO. When I have to I shoot it at 3200. It would be nice to be able to go a little higher to keep my shutter speed up. DXO results are in. D4 loses to D3s in low light marks 3200 to 2900. However it wins in all other areas. It is remarkable that d3s is still the low light king. According to physics and seeing how long it took to get a one stop iso improvement before ( 2 years for half a stop between D3 and D3s), I was not expecting a lot more from the D4. I would have been expecting a near 4500 iso performance on a D4 with 12mpix. But with 33% increase pixel pitch you can down this result by 33% for 100% pixel peeper, ie 3000iso Dxo results. But at 16mpix and 4500iso it roughly gives the same quality as a D3s with 12mpix at 3000iso for a same size print/output. Shot weddings with a D3 for quite a while. After picking up a D3s recently, I’ve been delighted with the improvement in high-ISO performance (the D3 is still plugging away as camera #2), and am not surprised to see this result. I’d still like a D4 for its radio trasnsmitter and iPad software for studio and other use, but I sure do love my D3s. Thanks for doing such a methodical test. First and foremost let me apologize for any disruption I may have caused. I truly value the work you do and your site is where I go when I want an honest opinion devoid of emotion, but heavy on facts and solid info. With that being said, I have to simply say that I was offended when Peter decided to lump purchasers of the D4 into the same category as iPad, iPod, iPhone, etc… purchasers. As you can well agree, most D4 buyers are not relying on mommy or daddy to whip out their credit card, but are hard working photographers (pro and enthusiasts) who are well aware of what they intend to buy. Then for Peter to assume a passive aggressive stance of the victim for being called on his feeble attempt at humor was simply over the top. I will refrain from proactively engaging anyone again even if their comments are juvenile and myopic in nature. Again, thanks for the good work and insightful comments. Yes, so true. I can’t stand some websites/blogs and the fanboys who congregate there! Thanks for providing a very professional and balanced website… and the comments by readers that are typically well-thought out rather than purely emotive. Love your work Nasim, it’s much appreciated! Gandalf, you can shorten URLs using goo.gl or bit.ly. Nasim’s results are congruent with DXO tests. It ‘s very interesting compare D4, D3S and D3X and carefully reading the diagrams switching between Screen and Print, where screen is equivalent to the reading of video at 100%, while print corresponds to a virtual printing normalized to 8MP. At low ISO level, there is an advantage for the D4 on D3S for the dynamic range, also al single pixel level. The D4 has substantially the same dynamic range of the D3X at the sensitivity of 200 ISO. The latter performs slightly better at the basic sensitivity of 100 ISO. The data of tonal range and color sensitivity of the D4 are even better than the D3X! Another interesting comparison is with the digital back IQ180. At single pixel level IQ180 back behaves much worse than the FF sensor, but the surface area of 2.52 times, 80 MP and the basic sensitivity of 35 ISO give better results on the normalized virtual print (miracles of downsizing). I recommend Full Color Sensitivity comparison which measures the color shift in the color space. This require that you to open separate panels. D4 sensor performance are very interesting because, due to the smaller size, each pixel receives 75% of the photons of those of the D3S. The laboratory results tell us that the D4 will offer advantages than the D3S at low and medium ISO and almost identical results up to 12,800 ISO. On the field the situation is different because measurement system and the AF can make a huge difference in low light. The performance at ISO 204,800 will make unhappy all who hoped to go hunting for werewolves; their photos will be blurred! You should do the tests on the same K (white balance), not on auto!! I think this is a really interesting comparison. I’d love to see the D3 and D3s images upsampled to D4 resolution to see how well they hold up, too. Love the site as well! I hope you don’t mind if I link a few of your articles from my blog! didi you make any check if the D4 works with 200-400+tc20E setup? does the AF work properly and reliable? thanks for taking the time to post this! Speaking personally the most compelling new feature is the improved AF. I love the D3/s’ but welcome the speed and point selection enhancements as making it even easier to get the shots I want reflexively at a wedding reception for example. $6k is a lot of cheddar though. I am nadia,wedding photographer,i have nikon D200,I am crazy for D4 but i cant effort…. There is something wrong with Nikon’s logic when they build the two new cameras. Their flagship D4 gets a so-so 16.2 MP FX-format CMOS sensor while the cheaper D800 gets the 36.3 MP CMOS FX-format. It should be the other way around by swapping the sensors from one to the other for that price tag on the flagship or at least Nikon should use the D3X sensor (24.5 MP) on this new D4 camera. You’re kidding right? DO you even understand the major difference between the two cameras or was yours a post of emotion? The D4 would not be a sports camera if it had to try and push 36+ image files out at 11 FPS… Isn’t it that obvious? Obviously a spec-head with very little practical knowledge of the target audience of these two camer bodies. I will say this though, if the D800 is supposed to be a direct replacement for the D700, I think it’s a fail. I’m still waiting for a real D700 replacement, suitable for sports photography. The 700 is still and excellent well-rounded GP camera and the 800 more specific to weddings and landscape photography. Define: “real D700” replacement suitable for sport. If I’m not mistake, Nikon sells a sports camera. It’s called a D4. The D700 only shuts 8FPS with a battery grip. Without it, the D700 shuts 5 FPS. Hardly a sports camera. I think you are caught up in the Real D700 replacement fantasy that is unlikely to materialize. There is NO way to push high FPS and extremely large file sizes over the current data buses. Your options for sports cameras are limited to the D3S and the D4, along with their prices. No Don, I’m not caught up in any sort of “fantasy” replacement for the D700 and I’m not looking for the MP count — in fact, I’d only want an MP count under 20 mp with the current Nikon sensor technology. In a D700 replacement, I’m looking for a direct replacement on the sports, end not the landscape and wedding photog end. There are many pro photogs who use the D700 as a backup and the 800 simply will not suffice in a sports action context. I own a D4 but want my backup camera to be along the lines of a D700 a more updated spec. No problem, Don. I’m a sports photog so as you might imagine, while I’m duely impressed by the images coming out of a D800, it’s just not a direct replacement on the sports end for a D700. The D700 is a fantastic camera in whatever you want to use it for and as you say, you need that battery grip for sports for the higher fps. In all reality, the D700 doesn’t really need a “direct” replacement. Nikon has finally smartened up and made a clear distinction as to what the roles of the D4 and D800 are, whereas the D3 and D700 were too similar. If you’re a sports/events/news photog, you get a D4 – simple and straightforward. If you mainly shoot weddings, studio/portraits, commercial and landscapes, the D800/D800e is a logical choice. While I own the D3s and still love them (couldn’t see the point of getting rid of ’em for the D4), my next camera will be a D800e since I seem to mainly shoot studio and weddings these days, with some landscape and urban stuff mixed in. While I absolutely HATE the form factor of smaller cameras (even with battery grips they’re still not nearly as comfortable as the pro bodies while shooting all day), the D800e fits the bill for what I need performance-wise. And I can get 2 of them for nearly the price of one D4. The upcoming D600 should be a very interesting camera if the rumored specs and price are accurate….I think that could find its way into a LOT of camera bags as a backup, and as a main body for those making the jump to full-frame and not having to shell out mega bucks for one. We’ll agree to disagree on that one, Dana. There is plenty of room in both price and specification for a new Nikon pro body to sit between the D700 and the D4. Yeah, but at this time there’s no point in it from an economic standpoint for Nikon. They have the D4 – if you’re a pro and shooting sports with Nikon gear, you get a D4. Nikon seems to finally be following Canon’s marketing strategy of segregating the needs of photographers…..just like sports photographers don’t buy 5DMKII’s and III’s, they buy the 1D line. Wedding, portrait and landscape photogs buy 5D’s…..just like the Nikon equivalent w/ the D800 series now which will cater to those types. Sure, it would be nice to have a lower cost second choice….and back when I was shopping for a second body I looked at the D700, but it just didn’t offer what I wanted/needed so I ended up sticking with a D3s. Realistically, how would you spec a $4,300 “Pro” sports body from Nikon to make it so that it doesn’t take away from D4 sales, yet still offer enough features to make it somewhat attractive to buyers? Simple: Up the MP count 16 mp. The frame rate is fine with or without the battery grip because if you are shooting in an arena with strobes, you don’t need the high fps. I think you are going to find that Nikon will eventually fill that void. There’s a huge gap between 2,200 and 6 grand. I think what Nikon is doing at this monment is re-setting their pro line up. I might add also that the D700 never really affected the sales of the D3s. Sports photogs need a replacement at the 3K range for “sports”. It almost sounds like you are saying from a wedding and landscape perspective that: Hey, we got our upgrade, so, to heck with you sports photogs. Pay that 6K figure or stick with the D700. I have an old Nikon N90 which still works fine with an 18 – 55 Nikkor lens. I would like to step into the Digital DSLR world. Can you recommend a good Nikon in the $500 range ? What do you plan on shooting: Sports, weddings, landscape, street photography? The D90 is quite well into the Digital SLR world, perhaps you meant prosumer or pro DSLR world? Thanks for the reply. I normally travel a lot and like to do photos typically with Family , outdoor shots , scenery etc . Any good Nikon that can be suggested in a comfortable price range of $600 . Can i use my exsting 18-55 Nikkor lens in any of the existing Digital cameras ? Now, if you are willing to spend a little more, say 699, you can try the new D3200 24mp camera. But I’ve never personally shot nor seen any images from this new camera. And Remember, it’s not about the megapixels. Trust me, you’ll love the D3100 doing what you described. I’ve even seen some rather decent low-light images come out of that camera that I didn’t think it was capable of. It’s no D4 but it’s no slouch of an entry-level DSLR either. Slight correction Steve. VR stands for Vibration Reduction: www.nikon.com/ not resistent. Also, I do not think they sell the D3100 now. Thanks for the correction on VR, Don. They are still in stock on amazon. So what would you recommend to Ganesh? The D5100 is nice or something different in the V1 or J1. I have the J1 as a backup camera. Yep. The 5100 is a little out of his price range plus it’s one notch towards prosumer. I shoot events and my daughters football (soccer) matches often but my real passion is street photography. For this I use the J1, and believe it or not the 24-70mm so that I can get low light performance. As I live in Finland, there is sometimes quite a bit of darkness and being able to capture shots in almost no light comes in handy. Did you opt-out on getting a D4? No way man. I even bought mine here in Finland where they are a bit more expensive. I love the auto-ISO feature. It allows me to concentrate more on composition and the action rather than trying to mess with ISO’s. I set it between 100 – 12800, and hit the streets. I love the camera. I literally am having a ball with it. How about you? Oh man, I LOVE my D4 and am having a blast with it. I don’t use auto ISO that much unless I’m out doors on a day where the sun is peaking in and out of the clouds. I need to do this sometime to see how it performs. I used to use auto ISO on my D7000 and it was pretty good. What I love most about the D4 is it’s incredible ability to meter a scene. And geez, the detail in dark shadows and in bright sunlight at the same time — I mean, this beast just never looses anything. You discover this in post when shooting in RAW (which I always shoot RAW). The files are clean and like I say, the detail you can extact in post is incredible. Now, how about a Leica M series camera for shooting street photography? I know those things go for like 7 grand US but I hear they are the perfect street photog camera. I shoot RAW all the time as well. I have started using Capture NX2 as a processing host. I normally use Aperture and have all the NIK plugins as I really am not a fan of Photoshop. I feel PS is for graphic designers rather than photographers. With Capture NX2, Aperture, and the NIK plugins, I can do things much faster and easier in my opinion. I also found a great panorama tool (Autopano by Kolor) that is amazing. Faster than any paid app I’ve seen. The “trinity” is ok, but the 24mm F1.4G, 50mm F1.8G and 85mm F1.4G make me dislike my 24-70mm F2.8G and 70-200mm VR ;). The 16-35mm isn’t too bad, pretty sharp for a zoom (I opted for that over the 14-24 due to lack of filters and a lot of glass out front on the 14-24). These days, I only really use zooms when shooting weddings and not having the time/room to zoom with my feet rather than a lens. Other than that, the primes are far superior. In regard to what camera to get….I would say save up a little longer and get the D5100. If it takes an extra month or two of saving, it’ll be worth it in the long run. If I were saving up a month or two, I’d just go get the D7000 for $1,200 USD. The 5100 seems a little too plastic feeling for me. The D7000 is an incredible DX sensor camera and proably still is the best DX prosumer camera out there. I still use it as my backup cam. Yeah, the D7000 is ok…..friends of mine have both the D7000 and D5100, and personally if I had to use a DX camera, I’d go with the D7000 – but not knowing how long it would take the poster to save up for it, I figured the D5100 would be a more viable choice (has the same sensor as the D7000 anyway). The 50mm F1.8G is probably the best bang-for-the-buck Nikon lens….like, ever. The 1.8D was a piece of garbage, I never used it and sold it a long time ago. I still shake my head at how well the 1.8G performs when I use it, given the price point. And the lack of sneaker-zooming is why I still have zooms (16-35, 24-70, 70-200 and 24-120mm VR), but I do have the 200mm F2 VR-II on the wish list. That’ll probably be the last lens I get, so I might as well make it a good one :). I’ve heard the dynamic range on the D4 is really good – that’s about the only thing it has over my D3s that would make me want to upgrade, but I’m going to wait until the D4s comes out and see how that is. I will probably get a D800e first though, as I do more studio work these days. Just love this thread! Way back on March 19, I wrote the very first comment! I expressed an attitude at the time that was just a bit anti-D4 as opposed to D3S. A couple of contributors congratulated me on my hesitation to spend big bucks on this “latest technology”, and seemed to indicate that Aussies are not easy for marketers to manipulate. Well, folks, I have a confession to make. Aussies are just as susceptible to hype as everyone else! A week ago I bought a brand new shiny D4! It came with the 16Gb XQD card & reader, and for the first time in my life I can LOOK like a real Pro — even though I am not! My decision came down to this: I own a property marketing company and take many thousands of real estate photos per year; this makes my choice of camera tax efficient i.e deductible in Australia; I am 66 years old and feel that when I retire in a few years time, the D4 technology willl still be class-leading and will probably last me as the final camera I will ever buy; having spent many years in the travel industry before I became involved in property (and being a competent writer) I can imagine myself travelling the world once again and submitting words and pictures for publication. (Yes, I know every silly bugger has these dreams but don’t crush me with your scorn!) All of these considerations, combined with the generous reviews of the D4 that have appeared since my original post, convinced me to splash out on my D4. The D200 body that has lived for five years in my office safe will be sold on Ebay! My trusty D300 will take its place in the safe for the time being. I have already purchased a Sigma 12-24 f4.5-5.6 DG Hsm 2 to handle my FX wide angle needs; I have ordered a Nikon AF-S 28-300 f3.5-5.6 for my “carry round every-day” needs; and I am battling my wife about the expenditure for the Nikon 70-200 f2.8! I know I can buy the Sigma version far cheaper — but will I be happy? Thank you Nasim, for the best photo website on the whole web! It offers something to the best of pros, and it offers plenty to enthusiastic amatuers like me! The D4 is a marvelous camera and I’m sure that you’ll be pleased (if you can get used to the weight…). Having invested in the best camera around, you might want to get a couple good primes so that you can get the most out of your new toy. All of the zooms don’t really cut it in my opinion. If you do any portraits, the 85mm f1.4G and the 105 F2.0 DC are amazing. The 135 F2 is also great, but a little overkill perhaps. If you like manual focus (most don’t), the 180mm F2.8 and 105 F2.5 as well as the 85mm 1.4 AIS are all excellent. Shooting wide I like the F2 28mm AIS or F1.8 Sigma 28mm. Thanks for your response. I checked my N70 and it has a 28-80 Nikkor lenses. Can i use this in a DSLR camera ( was thinking of getting a D90) . Which lenses should i go aongwith D90 . Any suggestions ? We are always trying to keep plenty of diablo 3 gold on all servers.Professional store of Diablo 3 Gold online You don’t have to worry about our gold stock. Your cheap diablo 3 gold will be delivered quickly and safely to your diablo 3 account as soon as possible. This was very informative as I have been wondering about this, thanks for sharing. I am a Canon user but I always like to read comparison posts between different camera models. Your post is very well explained and organized. I’m an amateur photographer who is teaching herself all about photography (not money to pay expensive courses), and I’ll definitely check the photography tips section. I’m sure it will be very helpful to improve my photography skills. Thanks for sharing your wisdom! Do you have a low light without flash comparison for these bodies? Thanks for the article and images. It is comforting to see that I am not missing too much low-light high-ISO performance, after deciding to buy a very-well-preserved, low-shutter-count, pre-owned D3s camera from a local camera store, rather than a Df, or saving longer for a D4-series camera. (I was actually lens-shopping at the time.) I may eventually add a Df to use with my compact AI and AI-S lenses, but active animals and birds are presently a higher priority. I already bought my wife a Df; a very nice little low-light camera, but we do not usually borrow each others’ cameras. I love your common sense approach to photography. As a hobbyist, I now want to move to a D4 since the D5 has been released. Crawl, Walk, Run… then Sprint! Would you trade a brand new D750 for a D3S (18k shots)? I shoot basketball at 12800 ISO ..